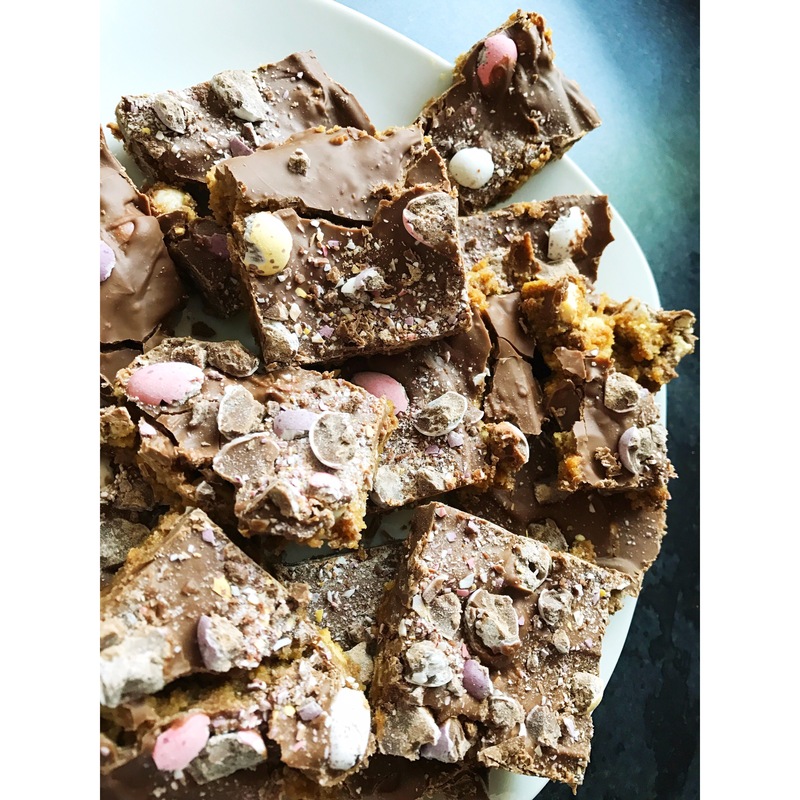 A baking blog post – by me? Is this actually happen? It appears so. Last week I did some baking despite the fact I’m appalling at it well it didn’t involve an oven so. Seen as Easter is now over and the large majority of us will have loads of chocolate cluttering up our fridges I thought I’d share with you a little idea in order to throw it all into a creation and eat it all as quickly as possible I mean it’s summer soon who needs the temptation of a Malteser Easter egg? So to begin with the standard items you’ll need 100g of margarine, 3 tblspoon of golden syrup and 300g of chocolate – if you want to get rid of some Easter eggs to do this bit then that would work too! You’ll also need 200g of digestive biscuits no need to splash out on the McVities! 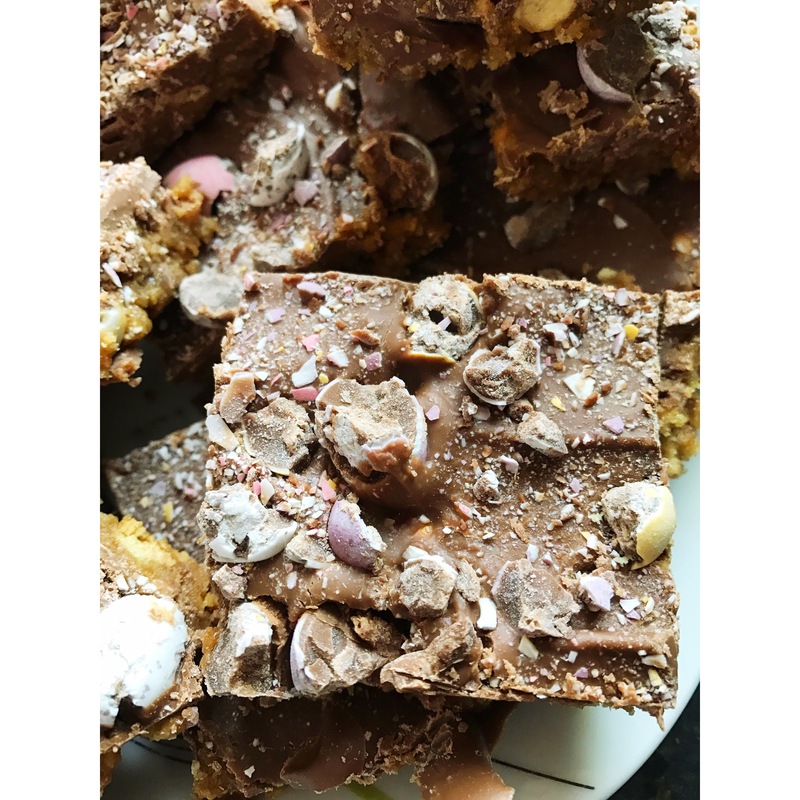 Now this is where your choice comes in – I used 200g of Mini Eggs and about 100g of maltesers but if you are creatively inclined and want to experiment – go for it! Step One: Melt the margarine and the golden syrup in a pan on the hob until it’s all nice and mixed. Step three: Begin to melt the chocolate either on the hob or in the microwave – I found doing it in sections was better rather than throwing it all in! Step Six: Once the chocolate is all melted, you then need to pour it over the top of that mixture in the tray again smoothing and flattening it all out! Step Eight: Finally put the tray into the fridge and leave to set until its hard – I feel this will vary so just do what you think is right. DONE! Share them around your family and feel relieved at the fact that you no longer have tempting chocolate lying in your fridge!